An unregistered children's tuition centre in Suffolk that came under fire after a BBC investigation is to close. Fen Park in Lowestoft was revealed as one of nine centres for excluded pupils that had never been registered with the Department for Education. 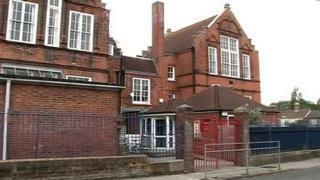 An alleged incident at one of the centres involved a staff member threatening a pupil with a gun. Suffolk County Council said Fen Park would shut on 25 October and its pupils would be found registered provision. The centre where the alleged gun threat took place was closed during the investigation, but it subsequently reopened. It cannot be identified for legal reasons. Other alleged incidents at the nine centres included a child stamping on another's head and a rope being placed around another's neck, but staff said they had not been reported. The news led Liberal Democrat councillor Penny Otton, of the council's education scrutiny committee, to call it a "major crisis". The council said letters had been sent to parents about the closure and the children would be moved to a number of other centres, including pupil referral units. The authority has been told by the government that all of its provision for its excluded children must be registered by next month. Registration ensures the centres are inspected by the education watchdog Ofsted. The council previously said its legal advice was that guidance on the registration of tuition centres was not clear, but it was confident it had fulfilled its statutory duties regarding the safeguarding of children.